LA Choppers' Handlebar Cable/Line Kits make changing the handlebars a breeze, thanks to the hard work and research put into each kit specifically designed for your bike. The kit includes correct length clutch cable, ABS tri-brake line kit with fittings, banjo bolts and copper crush washers. Each cable is also coated to help keep the cables from abrading or damaging surrounding parts and paint. Note: Electrical Wire Extensions are not included but are available separately. 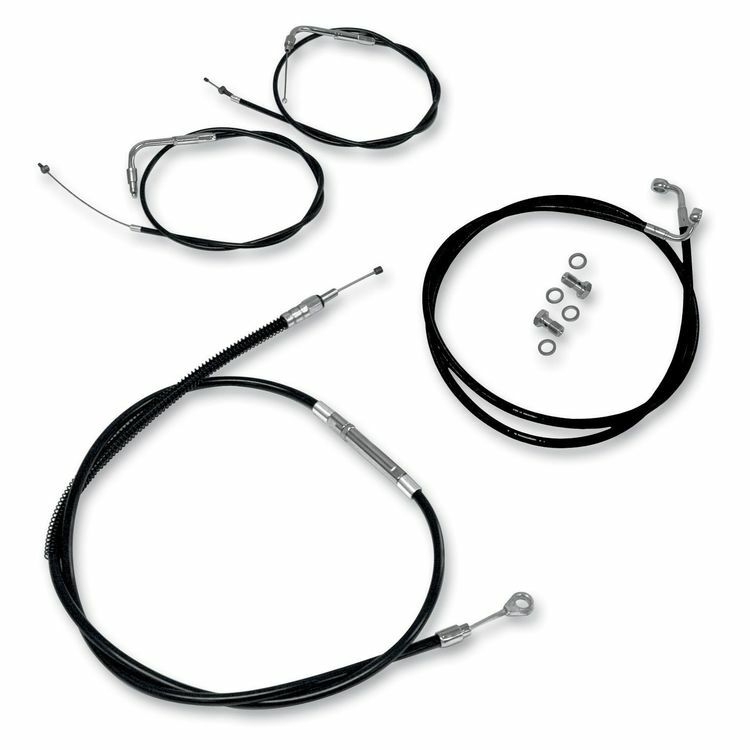 The Complete Cable, Line and Wire Kit is also available. Images are a representation only and may differ by model or options.